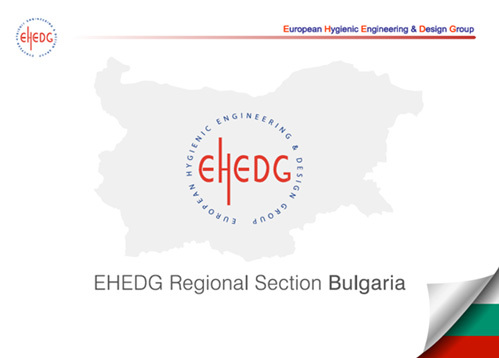 On 04.09.2017 in the city of Plovdiv the Bulgarian section of EHEDG (European Hygienic Engineering & Design Group) was officially established with the participation of INDEX-6, DONIDO MI and the University of Food Technologies. EHEDG has been founded in the year 1989 as a non-profit consortium of machine and equipment manufacturers, food producers, scientific organizations and universities, and public bodies for food safety control. The entire activity of the organization is focused on keeping foods and beverages clean through improvement in the hygienic engineering and design in all its aspects of their production. The organization actively supports European legislation, which inquires that delivery, preparation, processing, filling and packaging of foods be highly hygienic – performed/donethrough hygienic machinery, in hygienic spaces, according to the Directive 2006/42/EU for Machinery, EN 1672-2 and EN ISO 14159 on Hygiene requirements for the design of machinery. Both machine and equipment manufacturers as well as producers applying it, are responsible for the application of these regulations and EHEDG, as a body dedicated to hygienic engineering and design, is involved in suppling directions on the fundamental/ basic standards of hygienic design in accordance to the international and national legislations. The members of the new regional section whoparticipated in its establishment ceremony are Mr. Petar Spasov – engineer andCEO of INDEX-6, Mr. Dimitar Spasov – engineer and COO of INDEX-6, Mr. YordanValchev – engineer and CEO of DONIDO MI, Mr RadoslavValchev – Commercial Director of DONIDO MI and Dr.NenkoNenov–PhD in Industrial engineering.Mr. Petar Spasov was chosen for president of the regional section. On the 19-th and 20-th October in Amsterdam the annual plenary meeting of all EHEDG members took place and the Bulgarian candidacy was announced for the first time and the new regional section, presented by Mr. Nenov, was officially welcomed in the international organization. At the following local meeting of the new section in Plovdiv at the end of 2017 the top priority issues discussed were concerning the need fordevelopment of hygienic design in the segment of Bulgarian machine manufacturing, serving the needs of food production. Dr.Nenov shared key moments and facts from the meeting in Amsterdam, gave an update about the activities of the different regional sections and presented the annual journal of the organization for 2017/2018 with the latest milestones in hygienic design and very useful information from EHEDG’s network of experts and the achievements of the various work groups in the field of hygienic engineering. The participants identified the main directions in the work of the Bulgarian section of promoting the goals of the organization and attracting new members. The fieldsof work in the working groups were also outlined: for INDEX-6 is the field of ultra clean filling of liquid and viscous food products; forDONIDO MI the field of pure dairy processing and UFT in the field of research and support in various aspects of the validation of the hygienic grade of the products processingfrom processing and equipment to the sales network. The draft budget for the realization of the objectives of the regional section wasvoted. The participation in the EHEDG session Hygiene Design on 21 March 2018 during the Anuga FoodTec exhibition in Cologne, Germany was also discussed. In fulfilment of these goals, the regional section has the task of providing information about the activities of the international organization, its priorities, aims, standards and, of course, the opportunities that EHEDG offers representatives of the local manufacturers and food producers. The first such initiative will be held in the building of UFT Plovdiv on 13.04.2018. from 13:00, in which various representatives of machine building companies, food and pharmaceutical companies and universities will be invited to participate.